What happens when a young person, say in their early 20s, suddenly receives more money than they could ever imagine? Most likely, they’ll spend it until there is nothing left. 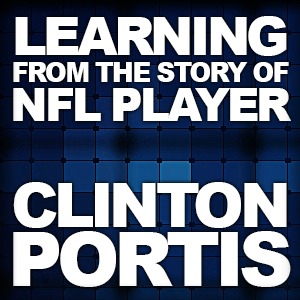 That’s what happened to former NFL player Clinton Portis. He made $40 million during his nine-year career in the NFL only to file bankruptcy at age 34, five years after his playing days ended. According to an article on Fortune.com, a National Bureau of Economic Research paper found that nearly 16 percent of NFL players had filed for bankruptcy within 12 years after retiring. While the percentage of bankrupt ex-NFLers is not much different from the rest of the overall population, NFL players, with their astronomically high incomes, should never find themselves struggling financially even after retiring from the game. The reason for their money woes has a lot to do with their young age and lack of proper financial guidance. Professional athletes lead undoubtedly unique lives, but when it comes to finances, their stories could easily apply to any young person who suddenly receives a sizable amount of money. An injured person in their teens or 20s could receive a settlement that is designed to pay for medical and other expenses for years or even a lifetime. Instead, friends and family, some of them well-meaning and others not, convince the young person to spend unwisely. Or, they go on a spending spree-just because they can. The money soon runs out but medical and living expenses remain. As any parent of a 20-something knows, they don’t always make the best decisions. That’s why it is especially important to set up a structured settlement for injured young adults. 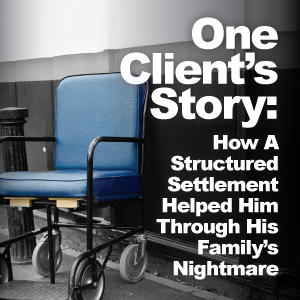 For parents of younger injured children, a structured settlement is even more critical. Once they turn age 18 (the age of majority), they have access to settlement funds and again, can run through the money quickly. A structured settlement gives young people a disciplined approach to managing their money. Attorney Virginia Nelson created an excellent YouTube video(below) on kids and settlements. It’s definitely worth watching.